Each year on Thanksgiving morning, the Macy’s Thanksgiving Day Parade kicks off the holiday season in New York City’s Herald Square. This year is no different—floats, balloons, clowns, and performers will join to celebrate the parade’s 91st march. Here's all the important details to help you prep before you hit the streets and spread holiday cheer. The parade begins at 9AM sharp. We suggest showing up one-to-two hours early to secure a spot or stop by vendor booths for food and hot cider. The parade treks 2.5 miles from 77th to 34th Street. The starting location on Central Park West and 77th Street offers little-to-no space for public viewing. Columbus Circle is also a no-go, along with Sixth Avenue between 34th and 38th Street and 34th Street between Sixth and Seventh Avenues—these locations host national television broadcasts and will obstruct your view. Central Park West is the most popular spot, so unless you camp out at 6am, we suggest avoiding it altogether. For the best view, drop by anywhere from 38th to 59th Street along Sixth Avenue, or farther up Sixth Avenue and Central Park South. Our staff is available to assist you with maps and directions. In keeping with tradition, Matt Lauer, Savannah Guthrie, and Al Roker will be providing commentary from start to finish, which can be heard live on the streets, radio, and broadcast over television. Did you know The New Yorker Hotel is also involved? Parade performers, including marching bands, those in costume, and other volunteers responsible for some of your favorite floats gather in our facilities to get ready before the parade’s start. This year’s music lineup brings you top hits and plenty of holiday-themed music. Notable performers include 98 Degrees, The Goo Goo Dolls, Wyclef Jean, Padma Lakshmi, Sabrina Carpenter, and JoJo Siwa. Dancers, marching bands, and other sequenced groups will also be featured, hailing from high schools and universities nationwide. The parade’s balloons and floats are what make it famous, especially for the kids. This year you can expect to see the Pillsbury Dough Boy, Angry Birds, Hello Kitty, SpongeBob SquarePants, Charlie Brown, and the Grinch soaring above you, and celebrities and performers gliding by on themed floats. Santa Claus and his elves will ring in the finale. 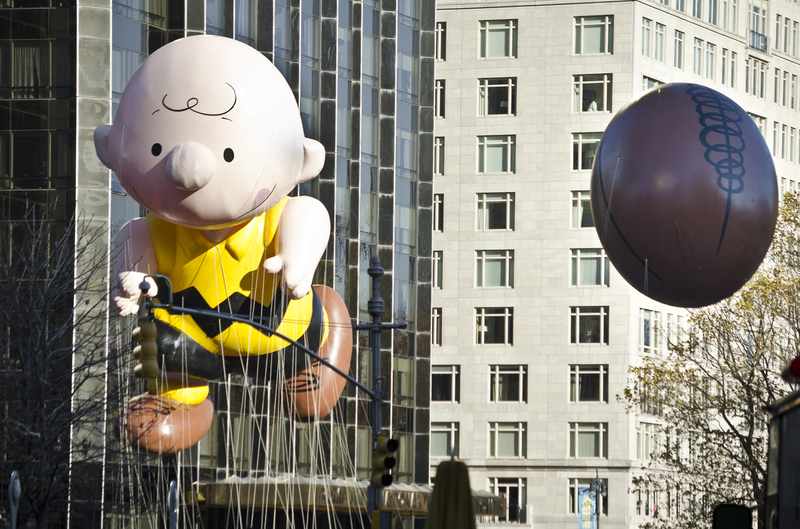 More information can be found on the Macy’s Thanksgiving Day Parade here. Don't forget to check out the New Yorker Hotel's last minute NYC deals too!